One of the most world’s renowned web designers is Jeffrey Zeldman. From the beginning of the World Wide Web, he was around and as a co-founder of the The Web Standards Project, he could put his initiatives and ideas into practice which made web-development less complex and more affordable. 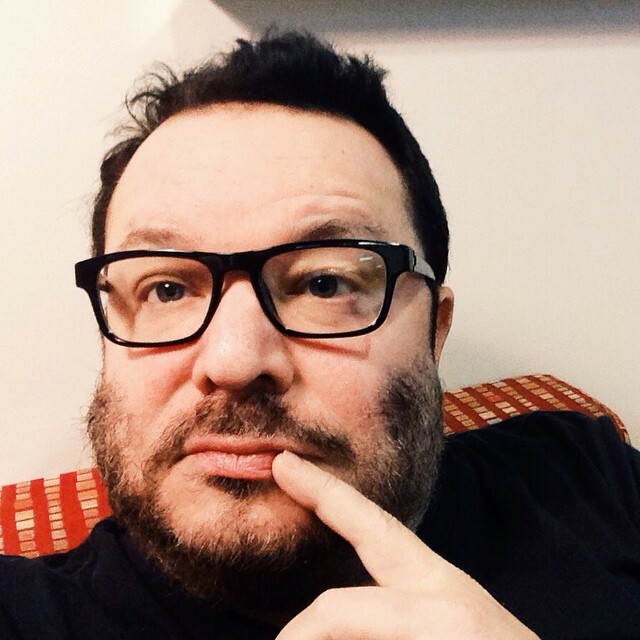 Many of you will probably know Jeffrey Zeldman as a source of inspiration and a person who has shared his knowledge and skills as an entrepreneur, as a speaker and as a teacher. Are you on a Windows- or Apple computer? Which software do you use to design? HTML, Photoshop, Lightroom, and Illustrator. Which software do you use to write code? 1.What was your life like before you created a website for the Batman movie in 1995? I spent a decade doing low-paying “artist” jobs (dishwasher, restaurant food server, condominium security guard) while trying to make a living as a musician. I wrote three novels that nobody was interested in publishing. I built a small recording studio, where I composed and produced electronica for a dance company and a couple of minor PBS documentaries. I wrote a music column for City Paper, which got me a job as a stringer journalist for The Washington Post. One day the Post fired me. I never learned why. I earned very little for my music. A stained glass artist and friend taught me some of his craft and I helped him on some of his commissions, but stained glass art wasn’t my calling. Eventually I got into advertising, because it seemed to combine several things I was good at while offering a paycheck. 2.When you became a creative director, you realized that authority is just an illusion. Was that hard for you to accept? No, it made it easier to quit my job and start my own design studio. If my work was earning the company money, but I had no control over the work, I could work for myself, where I would have control over the clients I chose to work with, and the projects I would or wouldn’t agree to do. 3.When you quit SenseNet and started your own business, what were your dreams and did those dreams come true? My dream was to get a couple of small clients and earn enough money to pay my rent. Far more than my dreams came true. 4.What is your opinion now about the choice you made back in 1999 about quitting your job at SenseNet and starting Happy Cog? It was the beginning of my real professional life. 5.What did it mean for you when you received the first SXSW Interactive Festival Hall of Fame award? I’m still trying to figure that one out. Obviously it’s an incredible honor and deeply humbling. But it hasn’t changed anything, nor did I expect it to. 6.How does your passion for cartoons, art, writing and music have impact on your daily activities? I share my passion for those things with my ten-year-old, incredibly creative daughter, and with my brother Pete, who is an astonishingly great and original musician. I listen to music while I design, while I write, while I walk (New York is great for long walks), when I travel, when I work out at the gym, and even when I go to sleep. My daughter and I have been discovering (in her case) and rediscovering (in mine) comics and graphic novels, which we read aloud to each other. 7.In an interview from 2007 you say you want to be an ambassador for the profession. How did that work out? Are you the ambassador you imagined? It’s working out great. This morning I spoke with a teacher in Portugal who has an idea for a new kind of web design school. I have no stake in his business; he just wanted to run his ideas past me. I’m always meeting with designers, developers, and business folks to discuss the value of our profession and this medium. No matter how busy I get, I hope I never run out of time for these meetings and discussions. And, of course, in the broader sense, I try to be an ambassador by publishing A List Apart and A Book Apart and by curating the curriculum at An Event Apart. 8.Which people/friends from the web-design/-development industry are important for you, who do you look up to and who contribute, in your opinion, in the most effective way to the community? There are far too many to list. I’m in awe of every A Book Apart author, every An Event Apart speaker, every author and editor at A List Apart. The brilliant people of Happy Cog and my super-talented students at School of Visual Arts blow me away. My colleagues, the people who share my studio space in New York, they all inspire me like crazy. That said, I have to give a special shout-out to my friend Ethan Marcotte, who coauthored the 3rd Edition of Designing With Web Standards, and then went on to invent Responsive Web Design, and to share it with the world it via the article and the book of the same name. That guy changed the world, and he’s still too humble to realize it. 9.Which of your qualities helped you most to succeed in the industry? My speaking and writing ability has done more for my career than my Photoshop skills or coding chops. I encourage every designer to blog (even if nobody is reading), and to speak. Hold sharing days at your company where you talk about a project you’re working on. Give ten-minute talks at local meetups. Work your way up from there. Designers and developers tend to be shy. We’d rather be in our cubicle, in our hoodies, with our headphones on, tuning out the world, than interacting with other people and defending our ideas. But it’s only by verbalizing ideas that we develop ideas. Teaching is another great way to figure out what you actually know by sharing it with someone else. The more writing, teaching, and speaking you do, the more confident you will become in your ideas, and the more you will be able to influence others when it counts. This is hugely important if you’re going to have a design career. You don’t just present your work, you must sell it. Most clients have no way of properly evaluating design. If you don’t explain it to them, they’ll pick the safe option every time. Stubbornness and willingness to speak directly and boldly have also helped my career. If I hadn’t had those qualities, I wouldn’t have been able to sell web standards to browser makers and designers, and the web would be completely different (and nowhere near as advanced). 10.In an interview from 1999 you answer the question “What recognizable styles of websites are there? And could you describe their chief characteristics?” with the answer “I haven't categorized Web styles, but off the top of my head I can describe a couple of people's work”. Today (+/- 16 years later), would you be able to categorize the various web styles? Among people who know what they’re doing, the endlessly scrolling parallax single-page site with lazy loading and huge web fonts is losing its impact as it becomes a cliché. The minimal, reader-focused site with huge type was radical when some friends and I put it out there in 2011, but today it’s an accepted best-practice approach on sites as different as Medium.com and NYTimes.com. That’s about it. Those two styles (both done responsively, of course) are all I’ve seen in the past three or four years. Oh, and the Apple-like variation on the parallax single-page site, with the gigabyte image file sizes. It’s time for a change. 11.First came A List Apart, then we got to know An Event Apart, and after that A Book Apart and A Feed Apart saw the light of day. What else do you and Eric Meyer have scheduled on the ‘Apart’ agenda? I founded A Book Apart with Jason Santa Maria and An Event Apart with Eric Meyer. What’s next on both agendas is finding the most talented people, who have the most important information to share, and helping them get that information to our fellow designers and developers. We’re not reinventing the wheel this point; we’re doing editorial work, making and testing small design changes, finding new ways to improve the customer experience and deepen the educational value of the materials we present. 12.Are there any plans on hosting the An Event Apart conference in Europe, for example in The Netherlands? 13.As the founder of Happy Cog, what are your daily activities? Do you still work with clients and for example design websites for clients? 14.Can you describe ‘the little things’ that make working at Happy Cog so awesome? Folks work on teams, never in isolation. Everyone’s ideas are important. Designers understand code; coders understand design. Designers and developers are involved from the very beginning of the project. There’s a generous education budget. Everyone has weeks of time to attend conferences, whether to learn or to speak. There’s a group blog (Cognition) and all are encouraged to share their ideas. 15.Happy Cog grew from 1 gig to the design agency of the year 2010. What are your secrets? Never accept a project you don’t believe in. Your portfolio is a record of your choices. Promote from within. Always be mentoring. Let people go when they are ready to take off on their solo careers, and help them get started. Never bad-mouth a former client or a former employee. Or anyone else, for that matter. Hire people who are better than you at design. Hire people who are better than you at code. Hire people who are better than you at user experience and content strategy. Hire people who are better than you at project management. Then stand back and let those people work. Don’t try to turn your workers into little carbon copies of you. Instead, learn from your employees. When in doubt, do more research. When in doubt, iterate. Tell the truth when you mess up, and be ready with a recovery plan. Respect your clients and employees like they are your elders, and love them like they are your children. 16.Felt winning the design agency of the year award like the cherry on top of the cake for all your hard work? It was nice. We were up against Brighton studio Clearleft, and we honestly expected them to win. They felt the same way about us. It’s nice to have competitors you respect as much as we do ours. 17.Have you guys at Happy Cog ever considered (or hired) a company like PSDtoWP.net to convert the designs you have made for your clients into fluid responsive HTML5/CSS3 or into a fully functional WordPress, Drupal, Joomla or Magento theme? No, and we never would. 18.Why are you not actively involved in the Web Standards Project anymore? 19.What do you think are the biggest differences between web design back in 1995 and web design nowadays, 2015? 1995: we hacked our way to layouts using non-semantic markup because we had no choice. Sites were technically unimpressive but the best ones were boldly experimental and fun. 20.Where do you think the evolution of responsive/adaptive design will lead to in the next few years? We’ll stop thinking about it in terms of screen size alone (the best practitioners have already done that), and create sites that work even when there is no screen at all. The true meaning of responsive design—sites that respond to the user’s actions and desires—will be more and more apparent, as we design for social and emotional context, not just physical device context. We’ll get better at predicting the unknowable. 21.What big changes do you expect in the industry within the next few years? 22.Which resources would you recommend to people who are just starting with web design / web development? Read A List Apart and Smashing Magazine. Get the A Book Apart series; it’s the essential collection for anyone working on the web. Study CSS-Tricks and get to known CodePen. Read the bibles of this profession: Steve Krug’s Don’t Make Me Think; Information Architecture for the World Wide Web by Lou Rosenfeld and Peter Morville; and Designing With Web Standards. Learn to code, even if you are primarily a designer. Don’t read anything “For Dummies.” You’re not a dummy. Don’t focus on software; you’re designing experiences, not mastering tools. Remember, you’re not designing for IE, or Chrome, or the iPhone, or Android. You’re designing for people.